If you’re a car company with cars that you don’t need anymore, you can actually trade those cars for some other asset like computers perhaps. 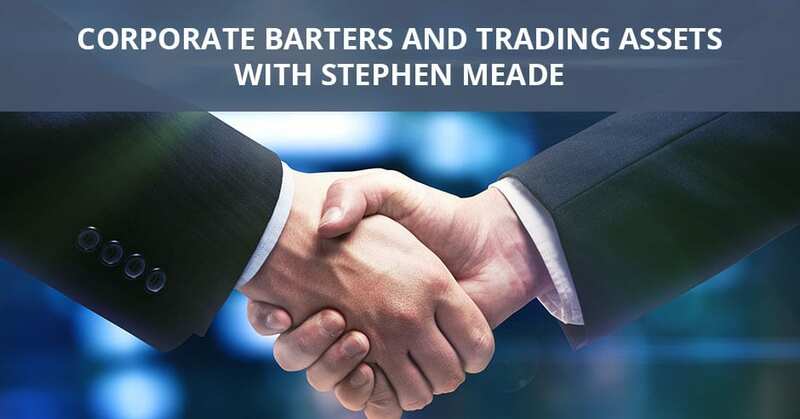 American entrepreneur, executive, and business founder, Stephen Meade, talks about corporate barters and how they work. Giving his company, MonetaPro, as an example, Stephen touches on how the whole process of trading assets works and how they’ve built their company as a global currency. I’ve got Stephen Meade here from MonetaPro. Tell us what it is. The alphabet soup for people, the technical side is we have a closed-loop payment system for corporate barter. The easy way to describe it is a company like Ford has cars they don’t want anymore, they trade them for computers. This is a business to business trade? True but the difference is, if you want cars and I don’t want computers, we have an issue. We don’t have portability. We build a system. I sell you cars and I get electronic credits as a purchasing credit and I buy tires and batteries and parts from somebody else. It’s a trade platform for big company assets. The first iteration of this was in 2000. We looked at building it as a global currency. Because technically, if I sell you an asset and I get a unit of value to buy something in another country, that’s a global currency. It’s a currency and we called it a GBUC, a Global Business Usage Currency. The world wasn’t ready for it. It didn’t quite understand it. We parked that idea for a couple of years. With MonetaPro, we officially launched it at d10e, one of the global ICO contests in Silicon Valley. Tell us what doing an ICO contest is like. Those are fun. I’ve done eleven companies. You’re good at it. You’re an old hat. I’m not only good at it, but we’ve also won seven. We’ve won every one we’ve been in. We finished first in three and we’ve taken second in two and then third in four others. We’ve won seven, top three finish. The one at d10e Silicon Valley, there were over 400 companies that applied and 31 were accepted to present. The format is a ten-minute format onstage with usually a panel of seven to ten judges. You’re up. You’re onstage. You hit your marks. They judge you and at some point later, you find out if you win. Are you incorporating blockchain, AI or other things in beside digital currency or cryptocurrency? 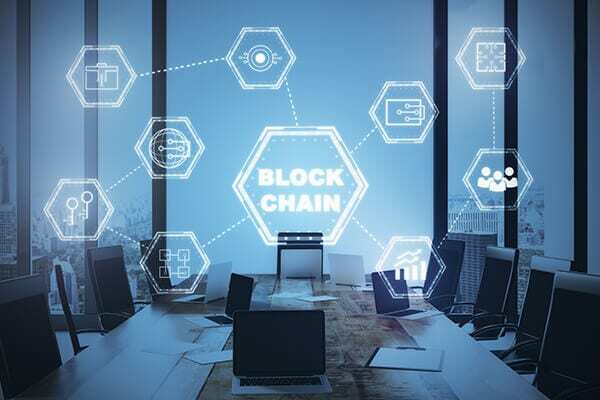 Corporate Barters: MonetaPro utilizes blockchain in a way that it was designed to be used in an actual practical business. I’m very specific. We’re a supply chain solution that utilizes blockchain to solve a problem. What I mean by that is if I’m a car company and I transfer cars to you, I don’t technically sell them. What that means is my inventory system says I still have $1 million of cars somewhere. The way MonetaPro works is if the cars are transferred, we create an invoice like electronic email. We write the elements of that invoice to a blockchain ledger. That ledger can then go back to the company to upgrade their inventory systems. It’s off your books and by updating the inventory, the blockchain ledger proves you transferred the asset and didn’t steal it or didn’t disappear and it updates what that inventory is. We’re utilizing blockchain in a way that it was designed to be used in an actual practical business. Trackable ledger, immutable, but it’s to solve a problem for the companies of inventory and audit. What do you think of the conference here? The conference has been great. It’s a different format with entertainers and blockchain and trying to blend things together. The stages were great. The crowd is always enthusiastic. It’s still a burgeoning industry people are excited about. There are great people here. The quality of attendees and the passionate, exciting projects, companies, and all kinds of things going on. It’s unique. I was fortunate I gave one of the speeches, but my joke is before the internet there was no internet. What that means is, if you go far enough back, a lot of people didn’t know or believe what the internet could become. Would eCommerce work? Would video conferencing work? Now you have telegraph and chat and video. You have many tools now that didn’t exist many years ago. That means the pace of acceleration and these companies are being built at a speed that many years ago you couldn’t fathom. The enthusiasm is here but also the execution. A lot of blockchain to me is reinventing a lot of things the internet did. It’s not disrupting industries. It’s displacing processes. It’s making things more efficient and blockchain is about proving the next level of efficiencies in companies. There’s a lot of excitement about that and not a lot of practical applications yet, but we’re getting there. Thank you so much. We appreciate your time. STEPHEN MEADE is an American entrepreneur, executive and business founder who is passionate about creating companies that make a difference in the world. He has the ability to catapult an idea from a pure concept to the creation of a thriving business. In the past 20 years, he has created, incubated and architected nine (9) successful technology-based companies. 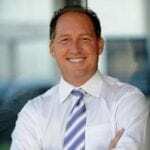 He is a seasoned business advisor and leader who frequently speaks on the art of networking at executive leadership conferences and startup communities (i.e. executives, entrepreneurs, start-up founders, co-founders, students) around the world. He is currently the CEO of MonetaPro.IO, which is a FinTech Blockchain company for Global Companies to participate in Corporate Trade. MonetaPro.IO competed in and won the Silicon Valley d10e Global ICO contest, which to date was the largest ICO competition in the World featuring 32 companies. MonetaPro has placed in the following competitions: Fintech Zurich (1st Place), Los Angeles Crypto (1st Place), Malta (2nd Place), South Korea (3rd place), and more!